Professor Neil Hall will join TGAC in April 2016 from the University of Liverpool where he is currently the Director of The Centre for Genomic Research. As a leader in the field of genomics, Professor Hall has specialised in understanding the genomics of infectious disease over the past decade. He has led projects at The Wellcome Trust Sanger Institute and The Institute for Genomic Research (TIGR) in the US, including the effort to sequence the genome of Plasmodium falciparum, the malaria parasite. 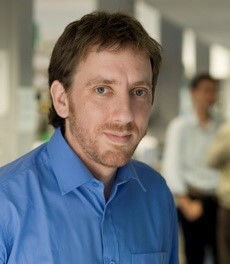 Professor Hall, who is also Head of the Department of Comparative and Functional Genomics, gained his PhD in Genetics at Liverpool University. His current research interests range from investigating the genetics of pathogen population structures to developing genomic tools to assay complex genomes such as wheat, a crop of significant interest and research focus at TGAC.